2011.12.28 - Again, I found an amazing image online, quite serendipitously, of the ancient monumental stone carving at Otuzco. 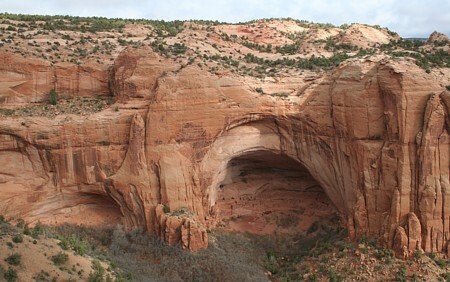 Again also the site is one with cliff-carved niches. This time the significant capital is Cajamarca, in the Andes about half way around the world from the Longmen Grottoes in China . I'm exploring, via the cyber globe, latitudes with specific mathematical properties. 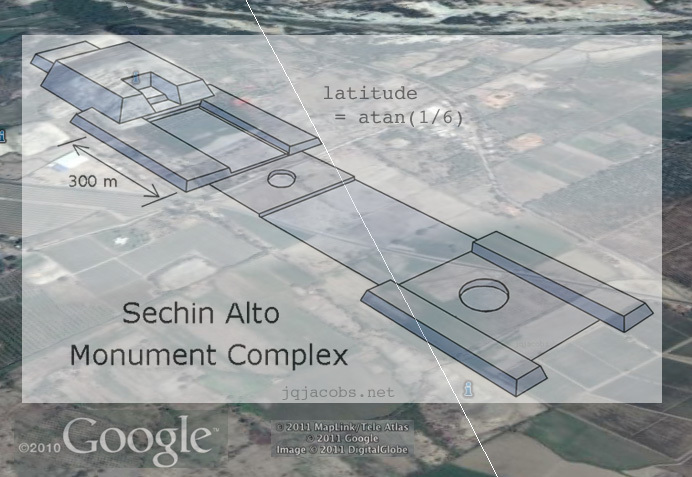 Having discovered Monk Mound is situated at atan 4/5 latitude, Ur Zigurrat at atan 3/5, Sechin Alto at atan 1/6, Huaca del Sol at atan 1/7, Chavin at asin 1/6, I recently explored more such lines in South America. Knowing my South American sites list is incomplete, targeted aerial inspection seemed a good idea. 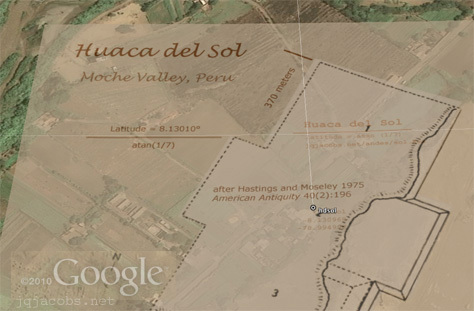 I found Otuzco on the atan 1/8 latitude near Kuntur Wasi and the ancient Andean capital of Cajamarca. 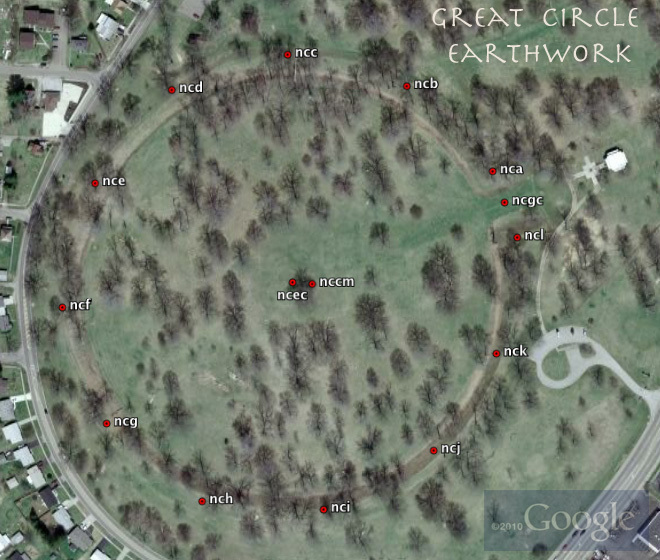 The cluster of Panoramio image placemarks in Google Earth led me to notice the site. Otuzco image . 2011.12.20 - I found an amazing image online, quite serendipitously, of ancient monumental stone carving. Check this out, the Longmen Grottoes near ancient Louyang. At Luoyang, a significant capital in ancient China—the center of five dynasties, a "heavenly terrace" was used for celestial observation and calendar management. The imperial capital included an official school of teaching, learning and research. While trying to find the ruins on the cyber-globe, I was clicking image placemarks. Researching archaeological sites online keeps getting easier and more interesting, and importantly, incredibly more informative than imagined a few decades ago. Near Luoyang in Google Earth, I noticed a dense forest of image placemarks. The ubiquity of high resolution digital cameras has resulted in an astounding amount of accessible, high-quality imagery on photo sharing websites. Our new geographic information systems are amazingly graphic. Google Earth displays a layer with Panoramio's geo-located imagery. I often keep Layers > Photos > Panoranio checked to enable viewing locations "on the ground" from many camera perspectives. Knowing the photo sharing domain references coordinates is also a particularly useful searching feature. I recommend exploring Google Earth's Panoramio layer at well-visited archaeology sites. It's no vacation to Machu Picchu, but today you really can see a lot of the world you want to travel too. The more images, the closer you should zoom in, to not miss some. 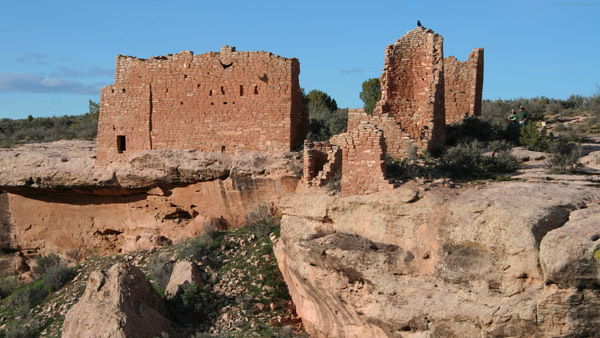 2011.12.20 - Another domain just sent a wave of visitors to the Hovenweep photo galleries. 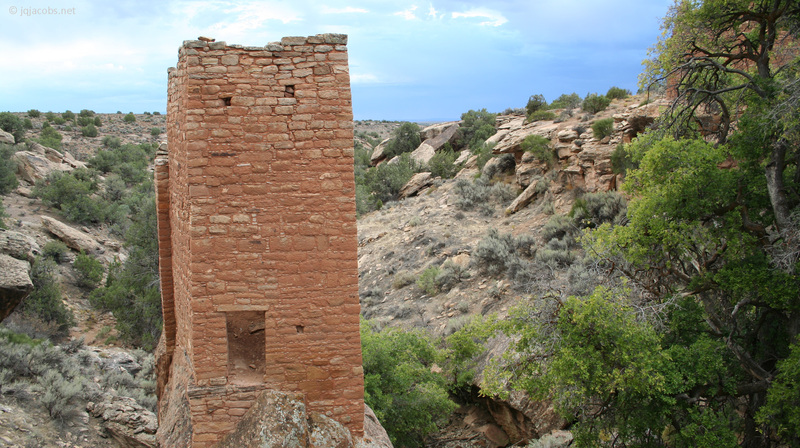 So, I've added new images of Holly House and 2650 x 1440 pixel deskpictures of Hovenweep Castle and Holly Tower. Click the images below to download the large deskpictures. Winter Solstice this year falls on Dec. 21 in my Pacific time zone. A happy holidays season to all. 2011.01.06 - Newark Earthworks is one of several Ohio earthworks being considered for U.S. Department of the Interior (DoI) submission to the United Nations Educational, Scientific and Cultural Organization (UNESCO) World Heritage List. I write to focus attention on an important issue the submission brings to the fore, the would-be naming of Ohio monuments as the "Hopewell Ceremonial Earthworks." At issue is employing archaeological interpretation to name ancient monuments. Had this practice been in vogue in the 19th century, we would today be discussing "The Ten Lost Tribes Mounds" or some other similar such misnomer. Transistory ideas should never be employed to name antiquities. On Dec. 14, 2010, National Park Service (NPS) provided a "30-Day Notice of Opportunity for Public Comment on U.S. Nominations to the World Heritage List and Potential Additions to the U.S. World Heritage Tentative List" (PDF). Comments are accepted on or before thirty days from the date. The public notice seeks comment on the next potential U.S. nominations and on possible additions to the U.S. list. A Tentative List is a national list of candidate sites a country intends to consider for nomination. A country can nominate a property after it has been on the Tentative List for one year, and is limited to nominating only two sites in any given year. NPS last submitted to UNESCO World Heritage in January, 2008. Earthworks on DoI's Tentative List include Fort Ancient State Memorial, Hopewell Culture NHP, Newark Earthworks State Historic Site (Wright Earthworks, The Octagon Earthworks, and Great Circle Earthworks), Serpent Mound, and Poverty Point NM. DoI is considering whether to nominate any of the properties. 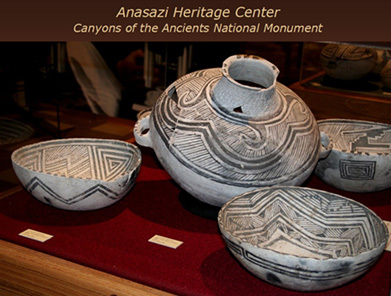 If a site is selected for nomination, public notice will be made of the decision, and draft nominations will be reviewed, amended if necessary, then provided to the World Heritage Centre no later than Sept. 30, 2011. The World Heritage Committee makes final decisions in the summer of 2013. Back to the issue at hand, interpretive archaeology and naming sites. Why did officials designate a list of Ohio archaeological monuments the "Hopewell Ceremonial Earthworks" in the first place? I think and expect that they should know better. The historian who e-mailed me "I consider it the best interpretation I know of at this point" reinforces my argument suitably! An individual consideration at some point in time is exactly the problem because interpretations not only change with time and with advances in knowledge, but, as is often stated in jest, "There are more interpretations than archaeologists because everybody wants to be one." Perhaps the responsible officials were not archaeologists. "Contemporary religious interpretations of the past have entered into recent popular dialogue about the Great Hopewell Road. Several archaeologists are equating the earthwork with 'pilgrimage' and Newark with a presumed 'Holy Land' of some sort, attracting distant travelers along the 'holy pilgrim's path' because the 'basic idea is pilgrimage.' Old World religious conceptions should not be super-imposed on Native American cultures. Just like it was wrong to say the Ten Tribes of Israel built Newark, so also it is wrong to call Newark a Jerusalem or Mecca, especially when there is no material evidence to go with the belief." The distinction between material evidence and interpretation is too frequently blurred in archaeological writing, and is often non-existent in popular literature. This issue is compounded when pet interpretations are used to name sites. The logic of the problem is so obvious, I do not feel I need to present more argumentation. 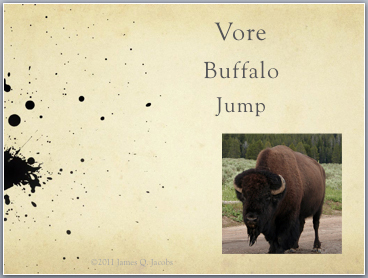 Instead, I want to move forward and release some important evidence reinforcing a very different interpretation. The interpretation I favor is that the builders possessed geodetic capabilities and advanced knowledge of astronomy far exceeding their contemporaries across the Atlantic, knowledge their eventual conquerors and agents of their genocide were blind to. The astronomy interpretation of Newark and other earthworks has significant supportive empirical evidence, and, unlike the religious/pilgrimage/ceremonial ideation, at least the evidence is incontrovertible science no matter how it is interpreted. "What is the evidence?" should be your first question, of course. I present new findings in the next ArchaeoBlog entry. 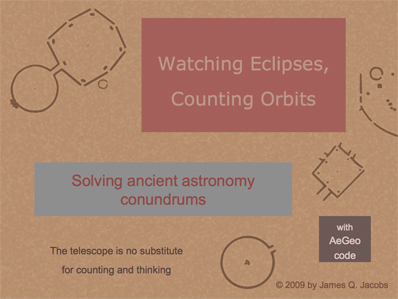 I've added a lunar standstills section to Eclipses, Cosmic Clockwork of the Ancients, a discussion in the broader context of fundamental astronomy. Also, I amended AeGeo code and added related terms (aegeo_calc_v2012.xls). Updates of applets will follow, including some fundamental reformulations to improve the precision of temporal terms of astronomical constants and derived variables. The precision of relationships of Newark Earthworks to other global monuments required improving the temporal accuracy of my applications to assess the hypothetical accuracy of the ancient astronomers. 2011.01.24 - The lunar standstill period results from the turning of the axis of lunar orbit. Inclination of the earth's axis (obliquity) together with solar orbit results in the sun rising and setting north and south of due east and due west during the course of each year. In the case of the moon, lunar orbit inclination either adds to or subtracts from the moon's swing back and forth across the celestial equator. Unlike the sun, the moon shifts north and south on the horizon every 27.22 days (the lunar nodal period). The moon's maximum rise-set angle from east-west recurs in a mean period of 18.613 years, one lunar standstill and just over one turn in space of the direction of the lunar orbit axis. A dozen new PowerPoints are in the SOUTHWEST Anthropology and Archaeology pages. Fall 2006 - Eastern Woodlands GPS Placemarks w/ Squier map overlays.